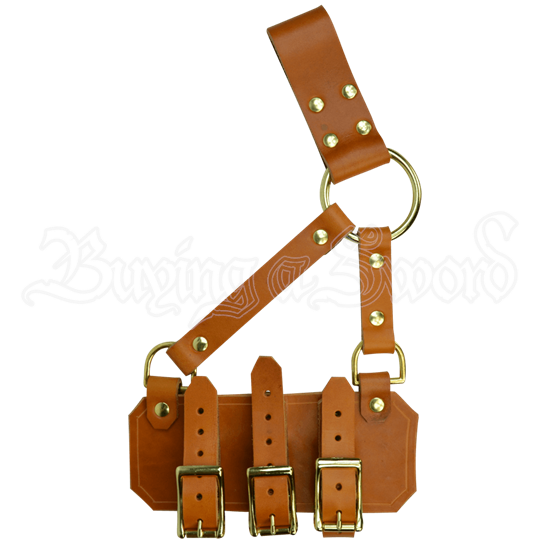 Our Rapier Frog is designed to suspend your rapier from a waist belt up to 1.5 inches wide. 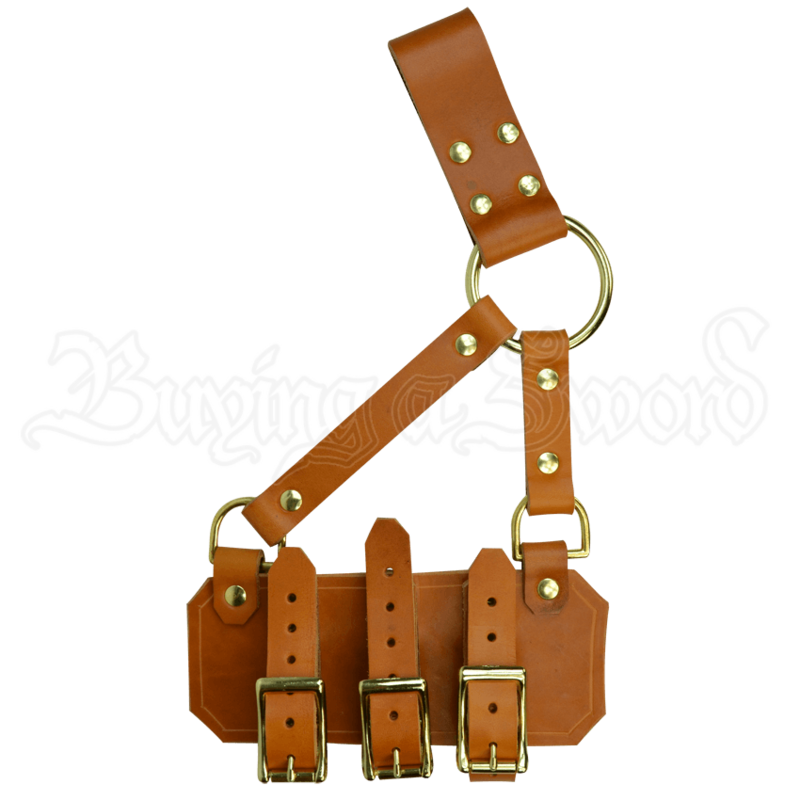 Three adjustable straps secure the rapier. This frog will fit any size rapier. It is available in black or brown with silver (steel) or gold (brass) hardware. Right handed frogs rest on the left hip, to be drawn with the right hand. Left handed frogs rest on the right hip, to be drawn with the left hand.